Nadica and Igor Stancev work as professional fly tiers, tying instructors, photographers and authors. They live in Skopje, Republic of Macedonia. Igor has been tying flies since he was 12 years old, when he first started, he hand tied them without the use of any tools to help. Whilst studying as an electrical engineer he became much more passionate about his interest in Fly Tying which then took over his life. After meeting each other in 1991 Igor and Nadica have shared the same love of nature, macro photography and fly fishing, these have combined together with their detailed photography of insects to create their beautiful fly patterns. Although Nadica graduated as an economist, her flair for Art and Design has successfully transferred into tying flies and photography. Between 1997 and 2001 they won together 43 top prizes at major international fly tying competitions in Norway, Slovenia, Germany and Ireland. 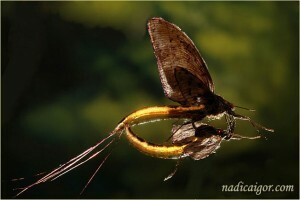 Today their innovative tying techniques, macro photos and articles are published in prestigious fly tying magazines worldwide. They have collaborated in producing 9 books about fly tying which have been published in France (3), Norway (3) UK (1) USA (1) & Italy (1) providing photographs and details of how to tie flies and the materials used. As well as competing and demonstrating in competitions and at fly fairs they are members of the Jury at the World Tuscany Open Fly tying competition and German Open Fly tying Championships. 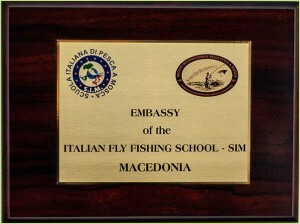 Since 2007 they have been Ambassadors for the Italian Fly Fishing School for Macedonia. Igor and Nadica are themselves dedicated anglers and regularly fish using every chance, at home or abroad in France, Italy, Slovenia, Germany. It is on these fishing trips that they develop and perfect their patterns.